This national exhibition, which was founded by Philly’s own “Crazy” Philadelphia Eddie Funk, marks its 20th anniversary in 2018. 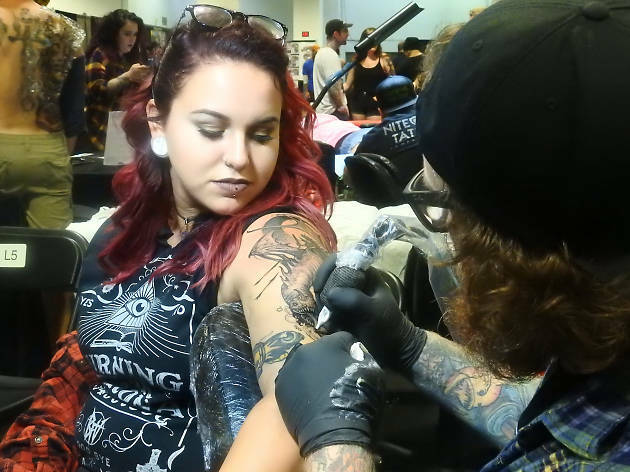 Around 500 tattoo artists arrive in town to perform live ink demos alongside celebrity guests, burlesque performers, sideshows and more. Looking to get some new ink before you attend? Check out our guide to the best tattoo shops in Philadelphia—which includes Philadelphia Eddie’s Tattoo in Queen Village.